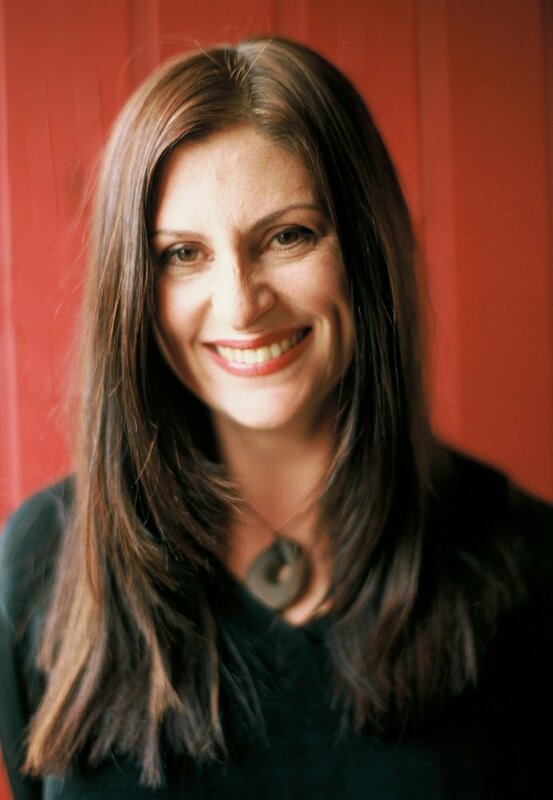 Director/screenwriter Niki Caro is one of the most successful filmmakers to emerge from New Zealand. After completing a BFA at Elam School of Fine Arts in Auckland, as well as a Postgraduate Diploma in Film from Swinburne in Melbourne, Australia, Niki wrote and directed a number of highly-acclaimed shorts. Sure to Rise screened at the 1994 Cannes International Film Festival, and Footage was shown at the 1996 Venice International Film Festival. Her first full-length feature, Memory & Desire, focused on a Japanese married couple and was selected for Critics Week at the 1998 Cannes International Film Festival. It went on to win four New Zealand Film and Television Awards, including Best Film. Niki's sophomore offering, Whale Rider, explored the Maori community of Whangara on New Zealand’s East Coast, and made an impact globally. Whale Rider was seen by millions of people and won over two dozen prizes around the world, including top honors at the Toronto (the People’s Choice Award), Sundance (the Audience Award), Rotterdam, San Francisco, Maui, and Seattle (Best Film) Film Festivals. The film’s star Keisha Castle-Hughes landed an Academy Award nomination for Best Lead Actress, becoming what was then the youngest nominee ever in the category. Niki next directed North Country, a drama set on the Iron Range in Northern Minnesota. The film starred Charlize Theron, Frances McDormand, Sissy Spacek and Woody Harrelson. Theron and McDormand were nominated for Oscars in the Best Lead Actress and Best Supporting Actress categories, respectively. Continuing to illuminate real lives and real communities onscreen, Niki directed the sleeper hit McFarland, USA, starring Kevin Costner. Set in California’s Central Valley, the inspirational docudrama chronicled the real-life exploits of an all-Latino cross-country track team. Here, Niki talks about her new film, The Zookeeper's Wife, a World War II biopic starring Jessica Chastain as an intrepid heroine who saved hundreds of Jews from the Holocaust. Kam Williams: Hi Niki, thanks for the interview. I'm honored to have this opportunity to speak with you. Niki Caro: Oh, that's very kind of you to say, Kam. KW: I love all your films. In fact, your last one, McFarland, USA, was #13 on my Top 100 list for 2015. NC: That's amazing! You've made my day. KW: I was really moved by it, as I was by this one. I went into the theater a little skeptical about the plot. 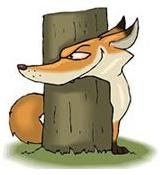 Even though it's true, a story about a woman saving both zoo animals and hundreds of Jews during the Holocaust just sounded a little farfetched. Yet, you had me weeping by the end of the picture. KW: What interested you in The Zookeeper's Wife? NC: The radical humanity of the Zabinskis. KW: Was that from reading the book? NC: No, I'm ashamed to have to admit I hadn't. Neither had I ever heard of Antonina Zabinski [played by Jessica Chastain], let alone of the role she played in history. Here was this intriguing story in script form that I couldn't believe was true. And yet it was. I felt it offered a really new way to talk about the Holocaust, a way that really spoke about heart, hope and humanity. And about feelings too. KW: The movie has many tasteful touches of humor. How did you manage to do that without offending the audience? How do you know what humor will or won't work when you're dealing with such serious subject matter? It must be hard making sure you don't cross a line. NC: Well, I always take my inspiration from the true story, which in this case was Antonina. It was wonderful to me that her instinct to nurture and protect animals translated so effortlessly to the human species. And the way she created a sanctuary was so feminine. That influenced the filmmaking in a very big way. It's a very feminine look at the Holocaust. It certainly speaks about war in a very feminine fashion. Of course, war didn't just happen to men, as many war movies suggest. It also happened to women, to children and to animals, and I felt that this film uniquely gave them a voice. And it gave women, in particular, a way to express femininity as strength. KW: Absolutely! I definitely don't remember ever seeing war presented so intimately from a woman's perspective. NC: Well, there you go. We're still somewhat unfamiliar with stories being told from a female's point-of-view. So, i hope that makes this story kind of fresh. KW: It sure does. After I saw the film, I couldn't help but wonder why the movie wasn't released during awards season. This movie has Oscars written all over it. NC: That wasn't my decision. There are a whole lot of factors that are weighed in determining when a movie's released, and none of those determinations are made by the filmmaker. [Laughs] But I'm really happy it's being released now. KW: I point it out only because you've already directed three actresses to Academy Award nominations, and Jessica Chastain does such a terrific job, here. I just think the film would get serious Oscar consideration, if it were released in November or December. NC: It still could. And if that is the case, it will really have earned it, because it will have stuck in people's minds. KW: What is your secret to coaxing Oscar-quality performances out of actresses? NC: Gosh! the first secret is in casting really great actresses with whom I can have a genuine collaboration, and remain open to their contributions and their brilliance. I try to create an environment on set where they feel very secure and very supported, so that they can take risks and do what I hope is some of their best work. KW: When did you develop your interest in directing? Were you one of those kids who was constantly playing around with a video camera as a child? NC: No, playing around with video cameras was not from my generation. [Chuckles] I never even saw a movie camera until I was in my late teens. I loved movies, but I didn't necessarily think I could make them. Growing up in New Zealand, I thought of movies as something that Americans made until I saw a film by Jane Campion. NC: No, her first film, Sweetie. That movie knocked me sideways. I couldn't believe it, because I recognized it. And I must admit it's super-weird. But, for the first time, I saw something I recognized from my own world. That gave me a huge amount of confidence. And I remain incredibly inspired by her.I'm a great, big fan of hers. KW: Who are some of your other favorite directors? NC: Back then, I felt very similarly about the work of another New Zealand filmmaker, Vincent Ward. Now, in terms of what I've seen recently. Barry Jenkins' Moonlight was absolutely stunning. And so was Damien Chazelle's La La Land. I love musicals. He's adorable, Damien. A lovely person. And so talented. NC: I remember the joyousness of sitting in the bath at the age of 3, listening to the radio with my dad and singing "Me and Bobby McGee" at the top of my voice. NC: Oh God! [Chuckles] I see myself. NC: Sorry, I'm drawing a blank. I've been asked so many questions. NC: I want to see that new Kong movie, but monsters isn't so much my preferred genre. KW: What is your favorite genre? NC: I love drama, obviously, especially when it's really human, when it's funny, and when it lifts me out of my world. And I love documentary, too. KW: Tell me a little about your upcoming film, Callas. I assume that's about Maria Callas. NC: Yes, it's a project I've been working on for a very long time, and won't be making in the near future, because I'm moving on to Mulan. But Maria is very special to me. NC: I have two passports, a picture of my mother, my brother and me on a very unremarkable-looking beach. And some pictures of my kids, and a bunch of airline cards. KW: Thanks again for the time, Niki, and best of luck with the film. NC: Thank you so much, Kam. Have a good evening.